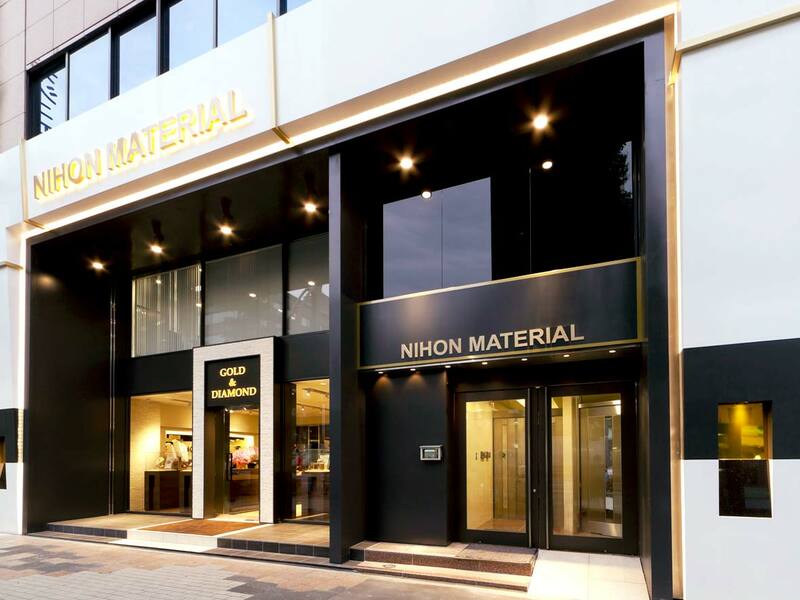 Company Profile | NIHON MATERIAL Co.,Ltd. Nihon Material Corporation will contribute to development of recycling-oriented and affluent society through business activities in the global arena. Sapporo, Okachi-machi, Higashi-Ueno, Yokohama, Koufu, Shizuoka, Nagoya, Osaka, Kobe, Hiroshima, Fukuoka. Manufacturing precious metals bullion and products. Precious metals purchase for recovery. Opened the precious metals shop in Ueno, Taito-ku, Tokyo. Started the ornamental precious metals business. Relocated the refining plant to Noda-city, Chiba Prefecture as Noda Plant. Noda plant obtained ISO 9001 and 14001 certification. Started manufacturing of electronic materials. Joined Tokyo Commodity Exchange as a general member. Obtained EICC (Electronic Industry Citizenship Coalition) certification as a Conflict Free Smelter. 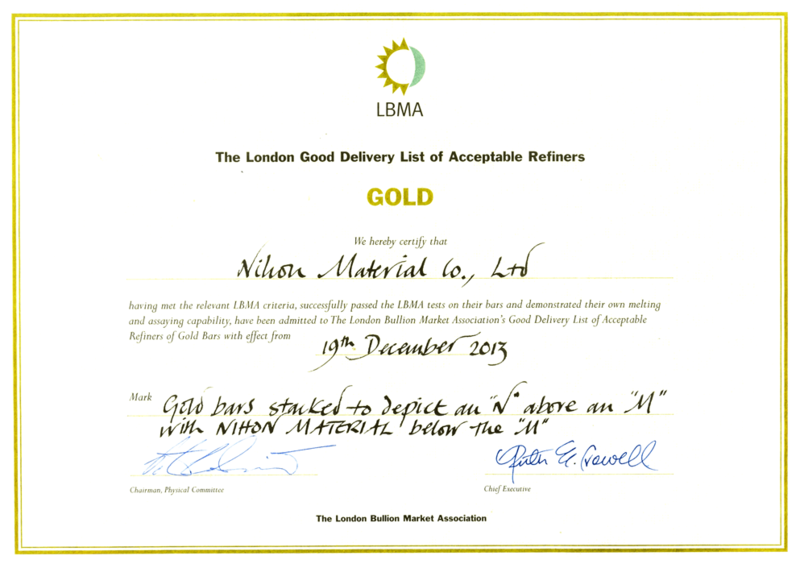 Accredited by LBMA as the London Good Delivery Refiner. 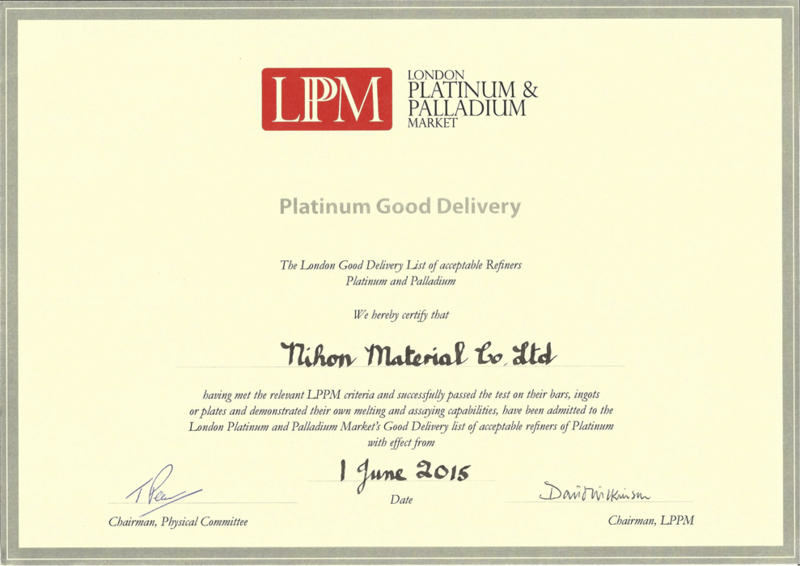 Accredited by LPPM as the London Good Delivery Refiner. Copyright © NIHON MATERIAL Co.,Ltd All rights reserved.